The PM704 is a compact and lightweight system that delivers the required radiation detection performance for effective personnel inspection. Large collimated PVT gamma detectors are housed in the vertical pillars. 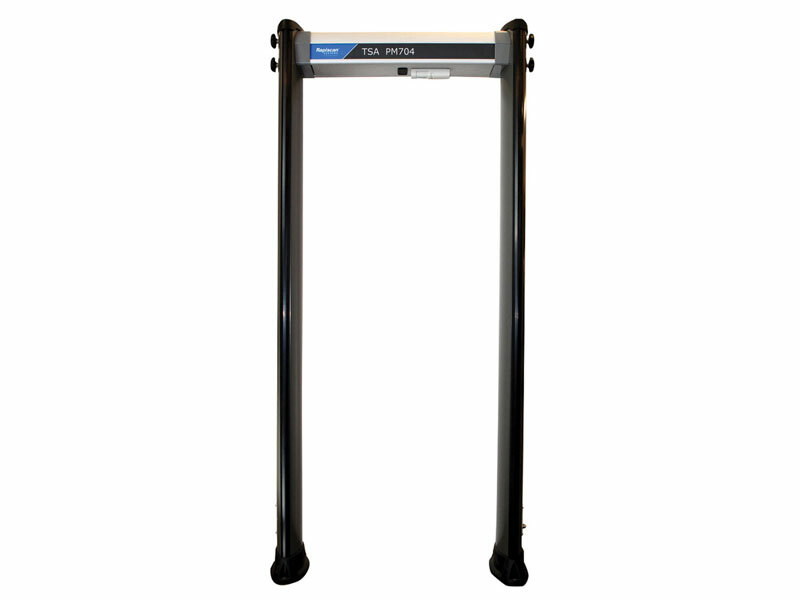 The PM704 meets the requirements of US and international pedestrian inspection standards, as well as the US FEMA standard for radiological emergency response. When not in use, the PM704 is safely stored in its protective case, which can easily be moved to wherever an inspection is needed. Once at the site, the unit is quickly assembled and ready to begin inspecting in a few minutes. The PM704 consists of just a few components -two vertical pillars, a horizontal top crossover between the pillars and foot plates for stability – that require no special tools to assemble. The PM704, which is suitable for indoor or outdoor installations, meets the IP65 environmental requirements. The attractive design is also rugged and able to withstand repeated uses with minimum maintenance.